History provides exciting insights into the future. If we want to know about our future we can learn the outcome of people in the past who shared our views. We then can get an idea of what to expect if we study history. History was not my favorite subject in school. A greater maturity led me to become interested in the subject in later years. For a long time, I've admired the attitude of a man who became a martyr because of his insistence on what he believed to be the truth. While getting along with people is a worthy ideal one subject assures that there may be clashes with friends who do not share similar ideas. Seeking truth and having insisted on finding the truth on all crucial subjects there will be differences in understanding and strains upon relationships, especially in religion and politics. John Huss lived in a time when speaking religious and political views could mean life or death. Hence the phrase: "never discuss religion and politics". America was founded upon principles which made discussion of these issues less dangerous. Knowing some history has convinced me that our freedom to speak our convictions is at risk. When we hear of people being murdered for their beliefs it reminds us that we are victims of history. For too long we've been silent on what could be..."It won't happen in America", we may say. Could we in America see our freedoms vanish? So many people have been persecuted for their beliefs though not necessarily to death. 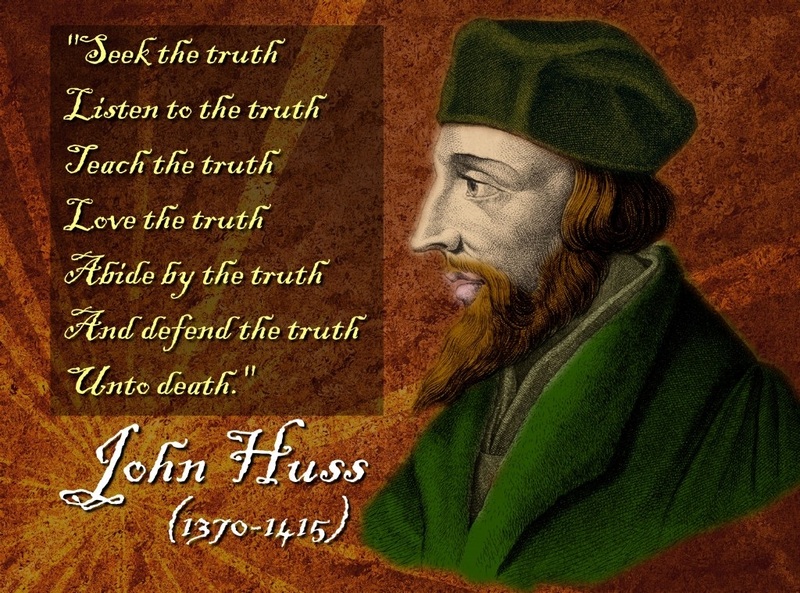 So, how about the John Huss quote? Read the quote and know that he indeed died for what he believed to be the truth. He was burned at the stake! Let's ask ourselves, "What am I willing to die for"? Which is more important, my life or my core values?